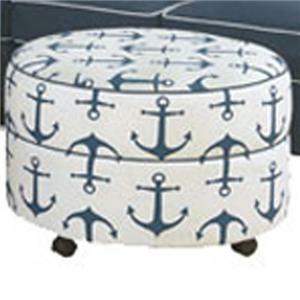 Casual and stylish, this ottoman is just the thing your living room has been lacking. 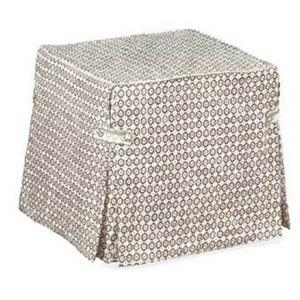 Put your feet up and rest after a long day on the plush cushioning of this ottoman. Block feet finish the look pairs with the rest of the collection perfectly. 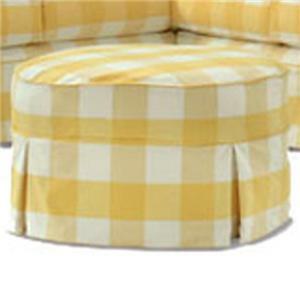 The Alexandria Casual Round Ottoman with Block Feet by Four Seasons Furniture at Stuckey Furniture in the Mt. Pleasant and Stuckey, South Carolina area. Product availability may vary. Contact us for the most current availability on this product. The Alexandria collection is a great option if you are looking for furniture in the Mt. Pleasant and Stuckey, South Carolina area. Browse other items in the Alexandria collection from Stuckey Furniture in the Mt. Pleasant and Stuckey, South Carolina area.